As Provost and Vice President for Academic Affairs, Dr. Manuel de la Rosa serves as Chief Academic Officer and member of the President’s leadership team on behalf of the institution. He engages in academic planning, directs the growth of academic and student affairs programs, develops academic policy, and advocates for faculty and student rights and responsibilities. He fosters collaboration amongst faculty, staff, students, and external communities. Administrative oversight at TTUHSC El Paso includes the accreditation components of the Paul L. Foster School of Medicine, the Gayle Greve Hunt School of Nursing, and the Southern Association of Colleges and Schools (SACS) accreditation through the newly formed Office of Institutional Research and Effectiveness as well as Student Services, Educational Affairs, the Office of Diversity, Inclusion, and Global Health. 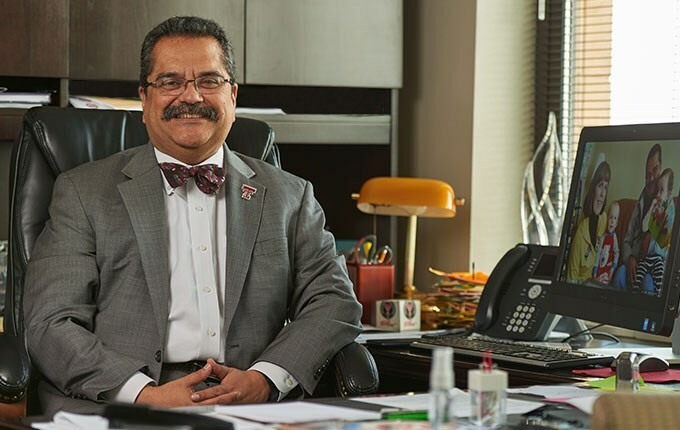 In 1997, soon after his appointment as regional dean for the School of Medicine at TTUHSC El Paso, Dr. de la Rosa set a goal of bringing a full-fledged four-year medical school to the El Paso community. After more than ten years dedicated to this initiative, the Paul L. Foster School of Medicine received its LCME accreditation on February 6, 2008, and welcomed its inaugural class of first year medical students in July of 2009. In May of 2013, the first class graduated from the Paul L. Foster School of Medicine. This milestone brought the full resources of both a medical school and health sciences center enterprise to the community. As a professor of pediatrics, Dr. de la Rosa's involvement with the community led to the establishment of the Kellogg Community Partnership Clinics, which were four school-based clinics that provided services to colonia residents in El Paso's lower valley. In an effort to focus the nation's attention on health issues on the border, he served many times as a spokesman in various media outlets that included national public radio broadcasts, Life Magazine, and the Dallas Morning News. Appointed by former President George Bush in 2003, Dr. de la Rosa continues to serve as a member of the United States/Mexico Border Health Commission where he advocates in addressing health issues on the border. 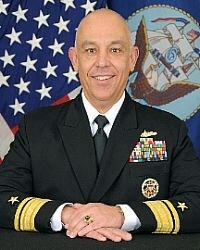 Rear Adm. Samuel Perez Jr., a native of El Paso, Texas, is a 1980 graduate of the United States Naval Academy. At sea, he served aboard the USS Paul F. Foster (DD 964), USS Knox (FF 1052) and USS Bunker Hill (CG 52). His at-sea commands include command of USS Reclaimer (ARS 42), command of USS Vincennes (CG 49), command of Destroyer Squadron (DESRON) 15 and command of Carrier Strike Group (CSG) 1. During his tour as commander, CSG-1, he completed a 5th Fleet deployment supporting Operation Enduring Freedom and Operation New Dawn. Ashore, he served as the program integrator for the Navy Theater Wide Theater Ballistic Missile Defense program at the Ballistic Missile Defense Organization; Future Ships branch head in the N76 Division of the chief of naval operations; assistant deputy director for Regional Operations on the Joint Chiefs of Staff; and executive assistant to the assistant to the chairman of the Joint Chiefs of Staff. In the Navy Central Command (NAVCENT) area of operations, he served as both the NAVCENT chief of staff and deputy commander, 5th Fleet. Perez also served as the deputy director, Joint Interagency Task Force South (JIATFS). During his tour at JIATFS, he deployed to Haiti and participated in Operation Unified Response as the commander, Joint Task Force Port Opening. He served as deputy assistant secretary for Plans, Programs and Operations in the U.S. Department of State’s Bureau of Political-Military Affairs. Perez earned a master's degree in Strategic Planning at the Naval Postgraduate School at Monterey, California. He completed a one-year Federal Executive Fellowship tour at the Strategic Studies Program at the Massachusetts Institute of Technology, and served as a senior fellow with the chief of Naval Operations Strategic Studies Group. 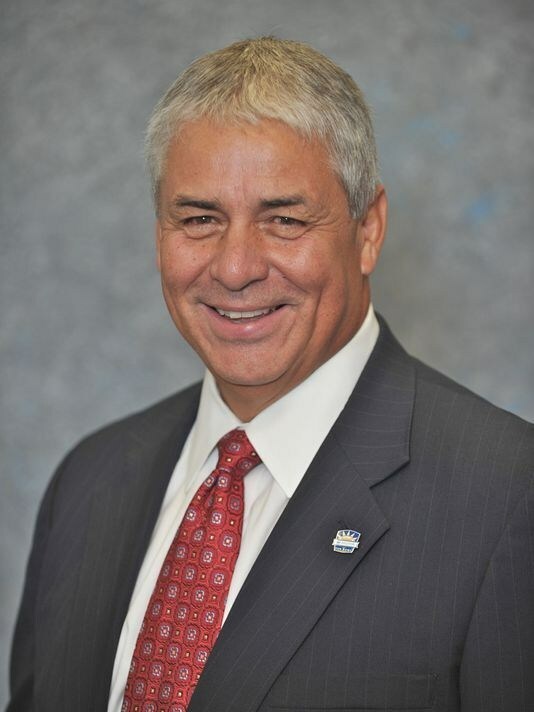 Perez is the 65th president, Board of Inspection and Survey. He is responsible for assessing the material readiness of the fleet. His personal decorations include the Defense Superior Service Medal, Legion of Merit, Navy and Marine Corps Medal, the Defense Meritorious Service Medal and the Meritorious Service Medal. Bruce Broillet's intelligent and committed approach to the law has earned him national recognition and respect among his peers in the legal community and has led to his induction into the Consumer Attorneys of Los Angeles “Hall of Fame.” As a trial lawyer, he has obtained numerous seven and eight figure results. He represents plaintiffs in such areas as business litigation, products liability, professional malpractice, personal injury, and wrongful death. His diverse achievements include a $3.3 billion settlement against Big Tobacco on behalf of the County of Los Angeles, a $45.6 million verdict in a legal malpractice case (which is the largest of its kind in California's history), one of California's largest pre-trial injury settlements in the amount of $32.5 million, a $14.5 million verdict against a major health club concerning failure to perform proper resuscitation, and a $10.35 million award in a business fraud case against a major financial corporation. Bruce tried and won a $55 million jury verdict for sports and television personality Erin Andrews against the Nashville Marriott relating to video secretly taken of her while she was in a state of undress in her hotel room. The case was covered nationally and internationally by all major media outlets and sparked a national conversation about security, safety and privacy for hotel guests. This verdict led to Bruce being named Consumer Attorney of the Year by the Consumer Attorneys of California. Bruce has successfully handled a wide variety of complex cases, ranging from stock transfer fraud to defective products causing life-altering injuries. His outstanding trial work has pitted him against such diverse entities as General Motors Corporation, Isuzu Motor Co., American Appliance Corporation, Robertson Honda, Schlumberger Corp., Ford Motor Company, Ambassador Insurance Company, International Telephone and Telegraph (ITT), Globe Machinery Company, LA Fitness, Turner Construction Company, the City of Los Angeles, the County of Imperial, and the State of California. He was also involved in the Ford/Firestone tire tread litigation. Bruce has represented numerous people suffering from catastrophic injuries such as quadriplegia, paraplegia, brain damage, burns, and amputation, as well as the families of deceased loved ones in wrongful death cases. He represented television news reporter Adrienne Alpert in her case involving injuries from electrical shock, executive producer Gary Binkow (Finding Neverland) in his case against Ozzy and Sharon Osbourne for breach of contract, and independent producer Leigh Ann Burton in her case against Oscar de la Hoya for wrongfully using her reality television show idea. He currently represents companies and individuals harmed in the business arena and in matters involving catastrophic personal injury and death.Bruce has been named one of the “Top Ten Southern California Superlawyers” thirteen times. He was also named “top point getter” by Superlawyers in 2008. He is also named in “Best Lawyers in America” and has been honored as its “Lawyer of the Year” in personal injury for Los Angeles. Bruce served as President of the Consumer Attorneys Association of Los Angeles (1994) and has received its “Trial Lawyer of the Year Award” and its “Ted Horn Memorial Award.” The Century City Bar Association named him its “Litigator of the Year.” The Consumer Attorneys of California elected Bruce its President (2001) and has presented him with its “Robert E. Cartwright Award,” its “Edward I. Pollock Award,” and its “Marvin E. Lewis Award.” California Lawyer Magazine named Bruce “One of California’s Most Respected Plaintiff’s Lawyers” and the Los Angeles Daily Journal has repeatedly named him as one of the “100 Most Influential Attorneys in California.” He has been named by Lawdragon to its list of “The 500 Leading Lawyers in America,” and its list of “The 500 Leading Litigators in America” on five occasions. 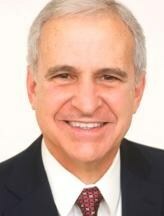 He has also repeatedly been named one of the Top 30 Plaintiff Attorneys in California by The Los Angeles Daily Journal. Bruce was elected a Fellow of the American College of Trial Lawyers, a Fellow of the International Academy of Trial Lawyers, a Fellow of the International Society of Barristers and a Fellow of the Litigation Counsel of America. He is a member of the Association of Business Trial Lawyers and has served on its Board of Governors. He is a Founding Member of Trial Lawyers for Public Justice, and he co-chaired the Legal Aid Foundation of Los Angeles' 2002 Annual Law Firm Campaign. Elected to the American Board of Trial Advocates (ABOTA), Bruce holds the rank of Advocate and has served on ABOTA's National Board of Directors. He is a recipient of the "Civility Award" from the Los Angeles Chapter of ABOTA. Bruce was honored by the Foundation For Taxpayer and Consumer Rights with its "Lifetime Legal Achievement Award." Loyola Law School presented Bruce with its "Champions of Justice" award. The Association of Southern California Defense Counsel presented Bruce with its “Civil Advocate Award.” In 1995, Bruce chaired the statewide CAOC-CAALA Joint Mandatory Continuing Legal Education Committee, which educated plaintiffs' attorneys on how to better serve their clients. As an author, Bruce has written several publications including "Chapter 55, Industrial (Heavy) Machinery," Matthew Bender Products Liability Practice Guide, 1988; and "Anatomy of a Civil Jury Trial," 1992. He is a frequent guest lecturer at professional seminars. Bruce is active in a number of community activities. A firm believer in the value of education, Bruce is a member of the University of Notre Dame's College of Arts and Letters Advisory Council and served as President of the University of Texas School of Law Alumni Association. Bruce has endowed three scholarships to enable deserving students to attend the University of Notre Dame, including the Mr. and Mrs. Eugene H. Broillet Scholarship, the Eugene H. Broillet Scholarship, and the John and Betty Foster Scholarship, as well as a graduate stipend fund in the names of two of his uncles, Joseph and Frank Ferrara. Bruce also endowed a fellowship at Notre Dame in the name of his two best friends from college. He also endowed a scholarship in honor of his parents to enable recipients to attend the University of Texas School of Law, which is Bruce's law school alma mater. Bruce also established a computer classroom and a high tech teaching facility at his high school in El Paso, Texas, Cathedral High School. Bruce is from El Paso, Texas. He received his B.A. from the University of Notre Dame (1971) and his J.D. from the University of Texas (1974). He is admitted to the State Bar of California and the State Bar of Texas. Chief Justice Richard Barajas (Ret.) is a native of El Paso, Texas. He is a 1971 graduate of Cathedral High School in El Paso, received his Bachelor of Arts degree from Baylor University in Waco, Texas in 1974 and his Juris Doctor from the Baylor School of Law in 1977. He additionally holds a Masters in Education, Administration and Supervision. He was admitted to the State Bar of Texas that same year and was subsequently admitted to the District of Columbia Bar. He served in the United States Naval Judge Advocate General’s Corps as a trial and defense attorney in Norfolk, Virginia and as a staff attorney assigned to the Commander, United States Forces in the Azores, Portugal. His last assignment was as a legislative attorney on Capitol Hill in Washington, D.C. He left military service with the rank of Lieutenant Commander. He has been admitted to practice in the Supreme Court of Texas, the United States District Court for the Western District of Texas, the United States District Court for the District of Columbia, the United States Court of Appeals for the Fifth Circuit, the District of Columbia Court of Appeals, the United States Court of Appeals for the Armed Forces, and the United States Supreme Court. In 1987, in response to the murder of his brother Oscar in Albuquerque, New Mexico, Chief Justice Barajas abandoned his practice of criminal law and successfully sought the office of District Attorney for the 83rd Judicial District of the State of Texas, the largest geographical district in the state. As District Attorney, he established the first prosecutor-based victim center in rural West Texas since the creation of the 83rd Judicial District in 1893. In 1991, at the age of 38, he was appointed by the governor of Texas to the Eighth District Court of Appeals for the State of Texas, at the time becoming the youngest appellate judge in the State. In 1991, he was elected Chief Justice of the Court, at the time becoming the youngest chief justice in the United States. He retired from elected judicial service and took the non-elected status of senior justice in August 2006. Chief Justice Barajas is a former member of the Texas District and County Attorneys’ Association and the National District Attorney’s Association. He served as a faculty member of the National Judicial College in Reno, Nevada, where he was an instructor on the use of information technology. He served as a designer of the State of Texas Judicial Commission on Information Technology and as the original Chair of the Texas Appellate Court Technology Committee. He served on the Texas Supreme Court Commission on Judicial Efficiency, its Task Force on Information Technology, its Task Force on Judicial Selection, the Texas Supreme Court Gender Bias Implementation Committee, as well as State Bar of Texas Crime Victims and Witnesses Committee. Chief Justice Barajas has made helping victims heal his life-long professional mission. He and his former law clerk, Scott A. Nelson, are authors of the Baylor Law Review article entitled The Proposed Crime Victims’ Federal Constitutional Amendment: Working Toward a Proper Balance. He is a former member of the Texas Council on Family Violence, the National Victim’s Center and served on the advisory council of the National Crime Victim’s Institute, then located at University of North Texas in Denton, Texas. Most importantly, he has been actively associated with National Organization for Victims Assistance for over twenty-five years, as a general member, an elected board member, and most recently as an advisory board member. He has served as the national chair of the NOVA Task Force on Identity Theft, a task force to examine the effects of victimization of identity theft and services which may be afforded those crime victims. A nationally recognized lecturer on the proper balancing of the constitutional rights between the criminal defendant and the intended victim, Chief Justice Barajas was honored by the President of the United States at a White House ceremony as a national recipient of the Presidential Award for Victim Services. He has advised the Department of Justice, Office of Victims of Crime and the Office of Violence Against Women on issues relating to human trafficking. In addition, he is a frequent victim-based lecturer on topics relating to The Victim Advocate and the Criminal Justice System: A Judicial Perspective; Essential Leadership Qualities of an Effective Victim Advocate; The Crime Victim and the Criminal Defendant: Working Toward a Proper Balance; Prosecutorial Ethics and Victim Rights; The First Amendment: What Every Victim Advocate Should Know; and, The Crime Victim in the Criminal Justice System: The Various Stages of Recovery. For a decade and a half, Bernie Olivas has been the face of the Hyundai Sun Bowl as it's Executive Director. A native El Pasoan, Olivas oversees 20 different special events in and around the Hyundai Sun Bowl, which matches teams from the Pac-12 and Atlantic Coast Conferences. Those include the WestStar Bank Don Haskins Sun Bowl Invitational college basketball tournament and the Sun Bowl Fan Fiesta. The annual Hyundai Sun Bowl produces the largest economic impact in El Paso for a single event in the city. The Sun Bowl has also been aligned with CBS Sports since 1968, the longest running association between a bowl game and network in history. Olivas was a Sun Bowl volunteer for more than 20 years. His involvement began when he joined one of the team host committees; he was named to the game's board of directors in 1992 and continues to serve on the team selection committee. 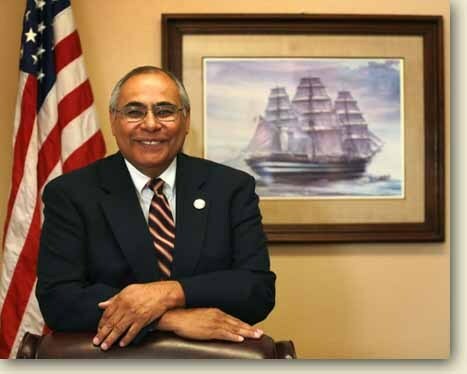 Olivas attended UTEP where he earned a bachelor's degree in health sciences in 1979. Dr. Petrozza completed his undergraduate training at the University of Texas at El Paso, majoring in Biology with a minor in Chemistry. Afterwards, Dr. Petrozza matriculated to the University of Texas Medical Branch in Galveston for medical school, and in 1988, also participated in a summer internhsip at the NIH working with the development of a rapid diagnostic skin test for people infected with Strongyloides stercoralis, before starting my clinical years. Dr. Petrozza completed his internship and residency in Obstetrics and Gynecology at LBJ Hospital and the University of Texas Health Sciences Center in Houston. After his time in Texas Dr. Petrozza headed northeast where he completed a fellowship in Reproductive Endocrinology and Infertility at New England Medical Center / Tufts Medical School. Dr. Petrozza was on staff at NEMC for 6 years before moving to Massachusetts General Hospital (MGH). MGH is the original and largest teaching hospital of Harvard Medical School. Massachusetts General Hospital conducts the largest hospital-based research program in the world, with an annual research budget of more than $750 million. It is currently ranked as the #3 hospital in the United States by U.S. News World & Report. Over his career, Dr. Petrozza has focused on the surgical aspect of infertility and reproduction. This includes endometriosis, fibroids, surgical repair of uterine anomalies and scar tissue, and repair of damaged fallopian tubes. Dr. Petrozza also co-directs the MGH Integrated FIbroid Program. I have a strong interest in fertility treatment outcomes, reproductive surgery outcomes, environmental factors and reproduction, diversity in reproductive health care treatments. 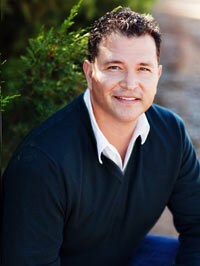 Joe Moody represents Texas's District 78, a mixed urban and rural district covering swaths of northern El Paso County. He is a lifelong El Pasoan and a second generation public servant. His father, District Judge William Moody, and his mother, El Paso school teacher Magdalena Morales-Moody, taught Joe the value of community service and respect for the laws of Texas. Joe has returned to the 84th Session of the Texas House of Representatives after serving in the 81st and 83rd Legislatures. During those sessions, Joe served on the Criminal Jurisprudence Committee, the Committee on Border and Intergovernmental Affairs, and the Defense and Veterans Affairs Committee. He was also tapped by the Speaker to work on the Select Committees on Criminal Procedure and Healthcare Education and Training and the Joint Committee on Human Trafficking. His work focused on fighting to ease the burdens on soldiers returning home and on a variety of criminal justice topics, including domestic violence and stalking issues, smart-on-crime initiatives like graffiti diversion, and efficiency measures designed to make the most of our limited criminal justice resources. During the 84th session, Joe returned to the Criminal Jurisprudence Committee as vice chair, where he continued to advocate for the rights of crime victims and promoted smart criminal justice responses and procedural reforms, including major marijuana policy reform. Joe remains one of the most respected voices on criminal justice in the House. He also served on the Homeland Security and Public Safety Committee and the General Investigating and Ethics Committee during this session. At the close of his first session, Joe was awarded Freshman of the Year by two non-partisan groups: the Mexican American Legislative Caucus and the Texas District and County Attorneys Association (TDCAA). His efforts have continued to be recognized by TDCAA, which gave him their Law and Order Award the past two sessions, and by the Combined Law Enforcement Associations of Texas, which named him Representative of the Year last session. Thanks to his efforts in the House of Representatives Joe Moody was named one of Texas' best legislators according to Texas Monthly Magazine. Outside of the Legislature, Joe is an attorney. He served as a prosecutor for many years at the El Paso County District Attorney's Office before entering private practice, where his focus has been probate and estate planning as well as criminal defense. He is a partner at the Law Offices of Neill & Moody, P.C. Miguel A. Levario specializes in US-Mexico Borderlands, with emphasis on the twentieth century. His research focuses on the transnational context of immigration, militarization, and race in the U.S. West and Northern Mexico. His book, Militarizing the Border: When Mexicans Became the Enemy (College Station: Texas A&M University Press, 2012) explains current tensions and controversy over immigration and law enforcement issues centered on the US-Mexico border. In addition to his book, Levario has contributed to a number of edited volumes, including a chapter in Arnoldo De Leon's War Along the Border: The Mexican Revolution and Tejano Communities (Robert A. Calvert Book Prize 2011), titled "The El Paso Race Riot 1916." Additionally, Levario contributed a chapter covering the social history of the Trans-Pecos region in West Texas: A History of the Giant Side of the State (University of Oklahoma Press, 2014), edited by Paul Carlson and Bruce Glasrud. Levario has presented research at the Organization of American Historians, Texas State Historical Association, as well as, several other national, international, state and local conferences. Levario has published numerous articles and book reviews in the Journal of American History, Aztlán, The Chronicles of Oklahoma, Civil War History, among others. Several national and international media outlets have sought Levario for expert commentary on current and past conditions regarding immigration, drug smuggling, and national security along the US-Mexico border. 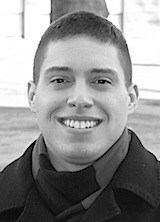 Levario was named the 2011-2012 Texas Tech Honors College Faculty Member of the Year. In 2011, Texas Tech University awarded Levario with the Scholars Incentive Award. In 2010, Levario was honored with the President’s Excellence in Diversity and Equity Award. He was also nominated for this award in 2009. In 2009, Levario was awarded the Marlene Nathan Meyerson Fellowship by the Harry Ransom Center at the University of Texas at Austin. Ronalds Arajs holds the Latvia national junior record in the 100 meter dash (10.40), set during the 2006 season at Kidd Field and won the 2006 Latvia national titles in the 100 meter dash (10.40) and the 200 meter dash (21.31). While a student at Cathedral Ronalds won the 2006 State Title in the 100 meter dash and the long jump while earning second at State in the 4 x 100 relay . After receiving numerous offers for Track & Field from several Division 1 programs, Ronalds joined the UTEP Miner program where he became a Conference USA champion in the 60 meter dash (6.77) and anchored the gold winning 4x100 meter relay. Following his career at UTEP Arajs represented Latvia at the 2008 Summer Olympics in Beijing. He competed in the 200 meter dash and placed fifth in his heat with a time of 21.22 seconds. Upon graduating from Cathedral in 2006, Joel Alicea attended Princeton University where he won the coveted Spirit of Princeton Award,which honors Princeton University undergraduates for their positive contributions to campus life. During his time at Princeton Joel served as the publisher of the campus publications American Foreign Policy, the Princeton Tory and Cornerstone, which he also founded. A politics major, he was an undergraduate fellow of the James Madison Program in American Ideals and Institutions. As a member of the American Whig-Cliosophic Society, Alicea helped organize a spring 2008 lecture by Supreme Court Justice Antonin Scalia. Upon graduating from Princeton in 2010, Joel matriculated to Harvard Law School. During his time at Harvard Joel was named one of Forbes Magazine's 30 under 30 in Law and Policy. While at Harvard Law Alicea served as President of Harvard Law School’s Federalist Society, worked at Gibson, Dunn & Crutcher, the U.S. Attorney’s Office in Dallas and clerked on the Ninth Circuit. Joel is also an accomplished writer having published articles in the National Review Online, National Affairs, the Harvard Journal of Law & Public Policy, the Loyola Law Review,Policy Review and Public Discourse. In August 2016, Joel was named Supreme Court Justice Samuel Alito's clerk- one of only 34 lawyers in the nation to receive the distinction of working for the United States Supreme Court in that position.